One Life Leads to the Next. We Pick Up Where We Leave Off. This is not such a startling idea, at least for many of us who believe in reincarnation and karma. from one personality to another while researching my book on Pictorial Astrology. George W. Bush well may have been George III. and the astrological ones are supportive and thought provoking. Edgar Cayce, are incredibly alike. The correspondences are far beyond the realm of statistical possibility. who wrote a book called Soul Journey (2006). “Abraham Lincoln [in a past life] had been a yogi in the Himalayas . . . .
and offers hundreds of points of commonality between them. Many months ago, I sent a comparative note on the charts of Lincoln and Lindbergh to Mr. Salva. He posted my thoughts at http://crystarpress.com. 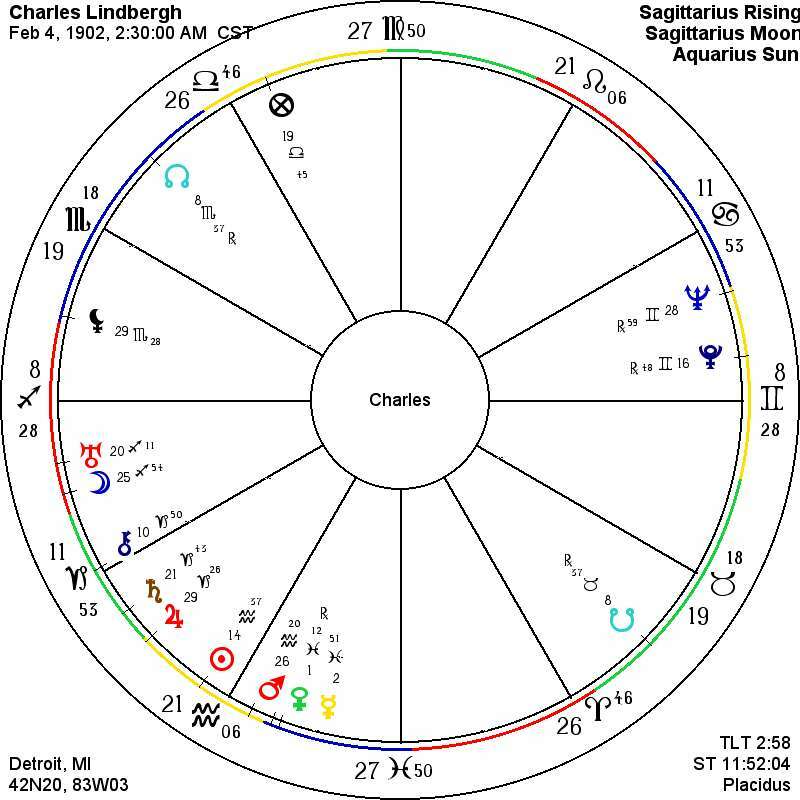 with that of Lindbergh’s natal horoscope. The result is quite amazing. rather than the following morning when his body breathed its last. beyond their both being Aquarians. 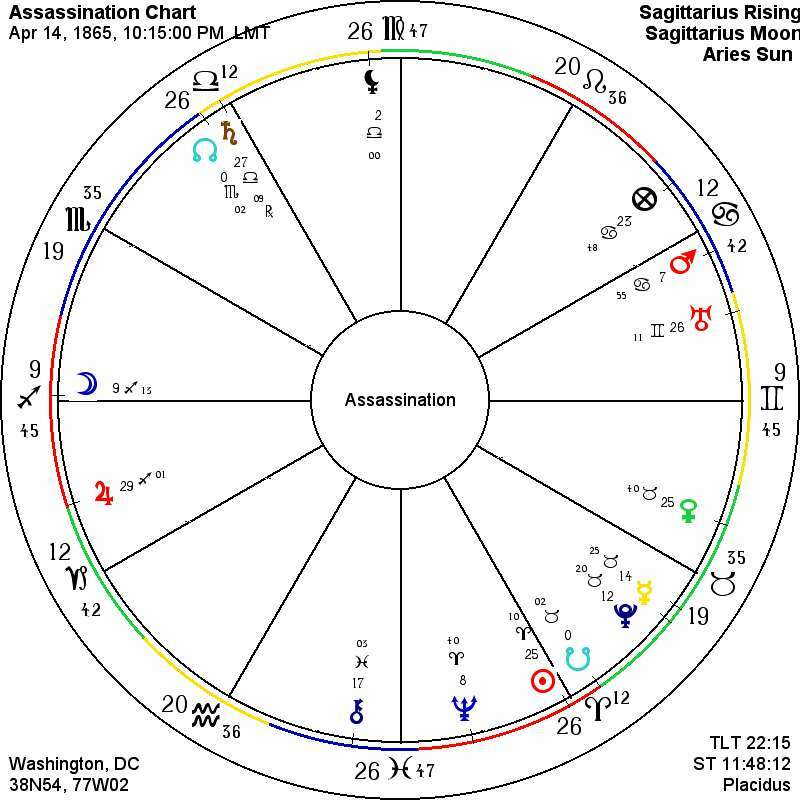 Ascendant at 8 degrees Sagittarius. The odds of that happening are tiny. 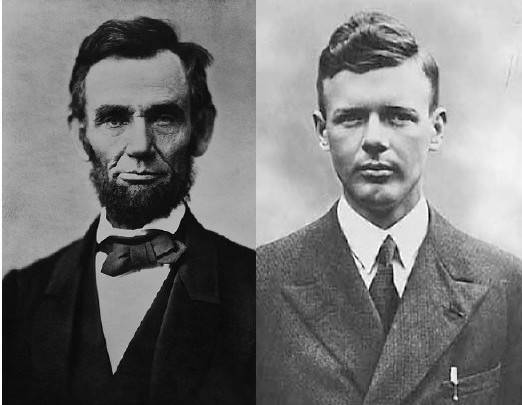 It is as if Lincoln's zenith (ending) becomes Lindbergh's beginning (birth). we pick up in the next life pretty much from where we left off in the last. 2 - Lincoln's Nodes of the Moon are at 6 degrees Scorpio and Taurus. Lindbergh's are at 8 degrees of the same signs. 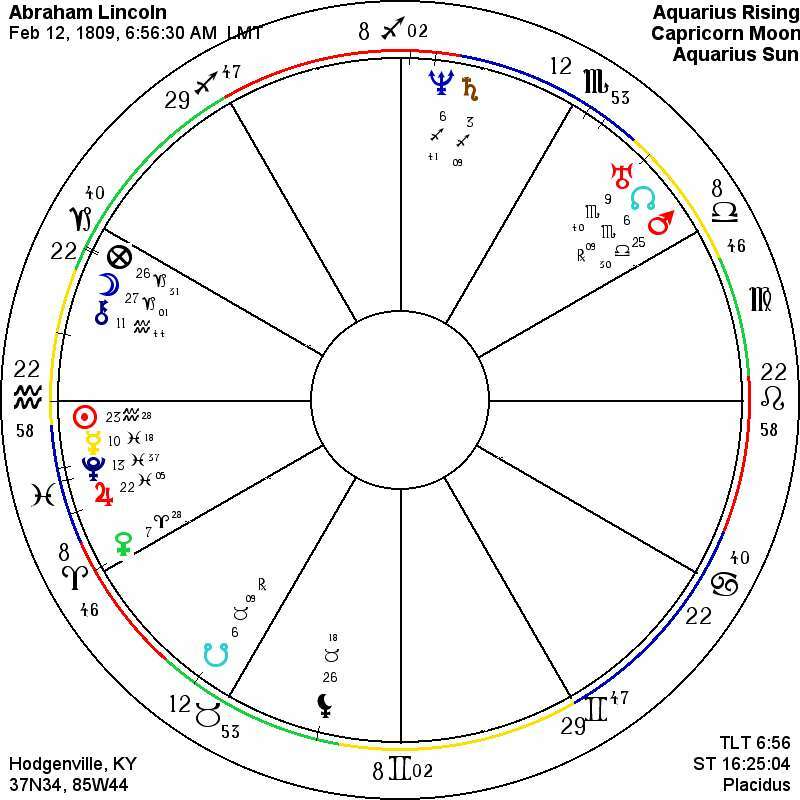 These are about destiny, North Node seemingly more important. (the Civil War and Emancipation). and showing him as a great humanitarian. (his body lived on until the next day, but practically he died at this time - the soul departed). Compare it with the one above for Lindbergh's birth. • All the cusps are the same by sign and are within a degree of each other. which are almost exact for the two. to work again through the houses of the chart and life as he left them. • Sagittarius rises with the Moon in both charts. • Both have the same North Node in Scorpio. The Moon and North Node of the Moon commonly represent the body or aspects of embodiment. A few more details can be found at http://crystarpress.com.